A sweet coincidence is going to happen today in the life of poet Asim Saha. Today is the 71st birth anniversary of the poet. On the same day, the poet is going to be awarded with prestigious Ekushey Padak (the second highest civilian awards in Bangladesh) for contributing to language and literature. Poet Asim Saha is one of the great people who were born in this month of February. Poet Jibanananda Das, eminent litterateur Hasan Azizul Haque and poet Asad Chowdhury are some of them in the long list. Asim Saha is a favorite poet. He is also a nice fellow. I have known him personally for a long time and I like him very much. I like his words, philosophy and ideology. He is still very much active in his writing and working for the country. I congratulate the poet on his 71st birth anniversary. I wish his long life and good health. 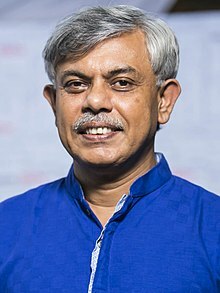 Anisul Haque is a Poet & Writer, Associate Editor of Prothom Alo.